The owners and staff at Advantage Remodel invite you to tour their beautiful facility while Networking with your fellow members. Refreshments will be served in their gorgeous showroom with full working kitchen. Tour their design center as you mingle and make connections with other members of your chamber. 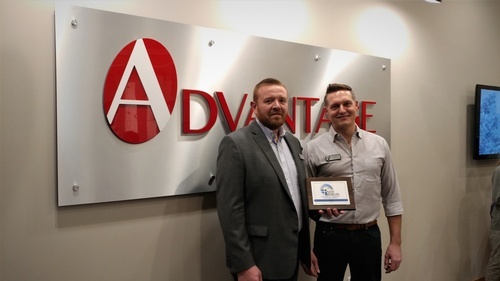 Advantage remodel is one of our newer members but they are already taking advantage of the opportunities our chamber has to offer. They had a display in Discover New Berlin for the second year in a row and Co -owner Greg Wade has been participating in our leadership Workshops to enhance his leadership skills. Greg has also volunteered to participate in our Ambassadors group to Help welcome and onboard new members and help us recruit new member businesses. We are excited to feature Advantage Remodel at our first Business After 5 Networking Event of the year. Please join us for a fun and casual evening as we learn about their business while building stronger relationships with fellow members. You can also learn about our up coming events and meet members of your board of directors. Time is short so please register quickly.